Working directly with key application developers to understand the current and future problems they are solving, creating and optimizing core parallel algorithms and data structures to provide the best solutions using GPUs, through both library development and direct contribution to applications. 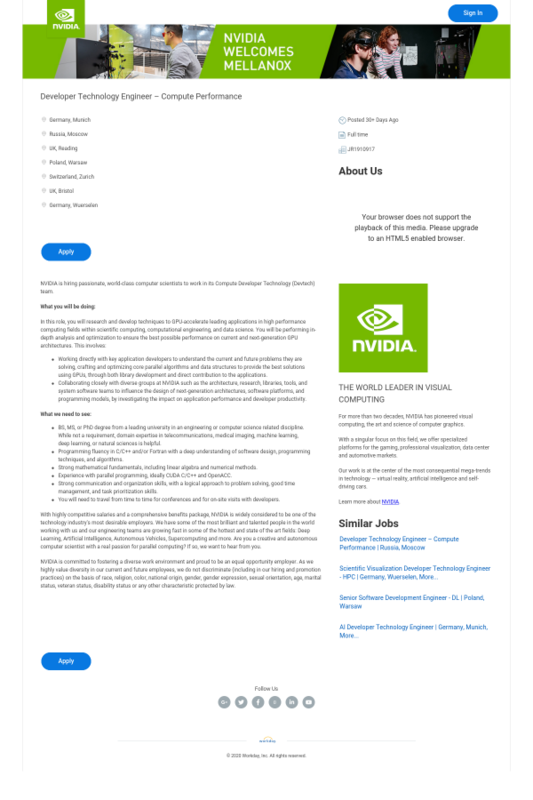 With highly competitive salaries and a comprehensive benefits package, NVIDIA is widely considered to be one of the technology industry's most desirable employers. We have some of the most brilliant and talented people on the planet working with us and our engineering teams are expanding fast. If you're a creative and autonomous computer scientist with a genuine passion for parallel computing, we want to hear from you.